A group of local ladies have been meeting each Thursday to knit poppies for Remembrance Day. 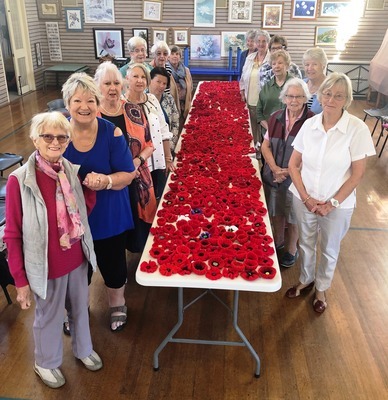 Craft and Chat Group of Ocean Grove has knitted more than 500 poppies so far and the ladies hope to reach 2000 by 11 November. They plan to lay the poppies on the ground at the Cenotaph on Remembrance Day to create a visual extravaganza for the service. Some poppies have been made in purple and blue to recognise the animals that were lost in combat. The group began in May 1984 and will celebrate 35 years next month. The group is welcoming anyone who wants to contribute whether they want to knit at home or join in on the sessions. It meets on Thursdays during school term at Uniting Church, Ocean Grove from 9.30am to 11.30am. Morning tea and biscuits is $2 and all profits go to Andrew Love Cancer Centre. 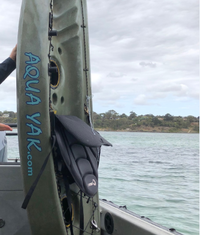 Contact Sue Arnott on 0412-493335 for more information.